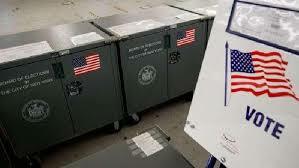 Nearly 200 Million Voters Personal Data Leaked By GOP. Political data gathered on more than 198 million US citizens was exposed after a marketing firm contracted by the Republican National Committee stored internal documents on a publicly accessible Amazon server. The data leak contains a wealth of personal information on roughly 61 percent of the US population. Along with home addresses, birth dates, and phone numbers, the records include advanced sentiment analyses used by political groups to predict where individual voters fall on hot-button issues such as gun ownership, stem cell research, and the right to abortion, religious affiliation, and ethnicity. More than a terabyte was stored on the Amazon cloud server without the protection of a password and could be accessed by anyone who found the URL. Deep Root Analytics is a conservative data firm that identifies audiences for political ads. They confirmed ownership of the data to Gizmodo on Friday. Many of the files did not originate at Deep Root, but are instead the aggregate of outside data firms and Republican super PACs, shedding light onto the increasingly advanced data. For a more in depth report, go to Identity-theft.org for the full story. Internet Privacy’s Muddy Water and How not to Drown.